Euro dollar is moving bearishly quite fast; yesterday it broke the December’s low. It’s so probable that later the pair continues falling. 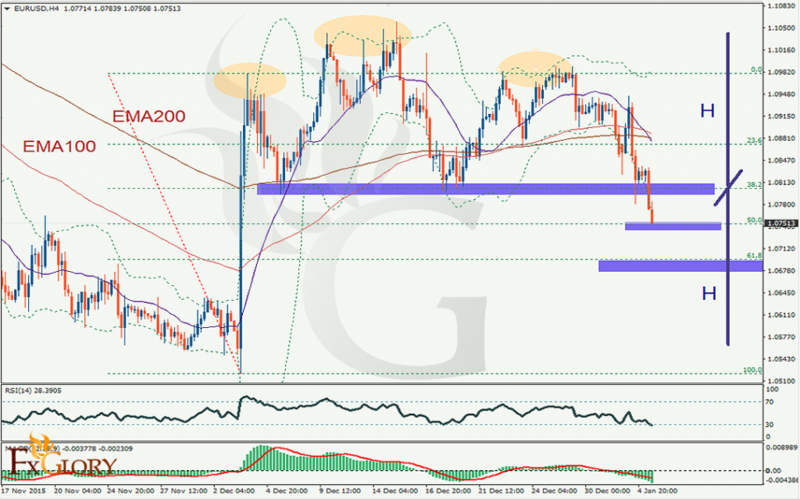 Yesterday’s failure at 1.0810 crucial area causes a renewal of the downtrend and the bias is negative below 1.0810, for a slide towards 1.0690. Figure shapes as H&S somehow and if this pattern wants to work, then prices around 1.0570 may be even expected. But on that way there is bridge stones which had to be passed over. Level 50% of harsh bullish move is one of them at 1.0750 but not strongest one as we have strongest support area around 1.0690 as 61.8% of Fibo levels. On all those supports we expect a retrace and if not then we can be sure how strong this bearish trend is and really expect to touch 1.0580.